You can check out the catalog of available Moto Mods here. 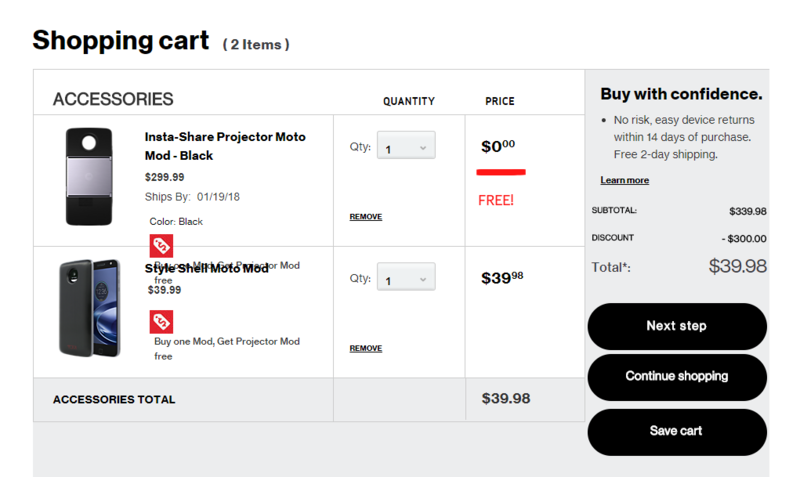 According to our tipster, the Insta-Share Projector appears as backordered at times, but the deal can still be redeemed. Alternatively, it may briefly appear as out of stock, though stock will be replenished if you wait a few minutes and refresh. Obtaining one of these should not be too difficult. If Verizon is offering these free with purchase, they likely have been sitting on unsold stacks of them, though I would not want to project.